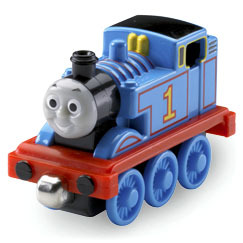 Thomas is rather cheeky, but is good at heart and generally behaves well, except when he is getting into mishap. Thomas loves teasing the others and on occasion brags about his superiority, but is always brought down to earth in due course. If Thomas has one major character flaw, it's that he's forgetful, and slightly impatient. However, he's also optimistic and idealistic.